It is a cry of every person, organization and even countries that long lasting solution for cybersecurity is found. 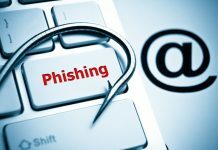 Every day, reports of growing number of cases concerning breach in cybersecurity are reported and the risk increases daily due to growing number of interconnected devices being added to the internet. Your information and data is not hundred percent secure in your computer, majorly because, you are exposed to the outside world and you never know who is trying to access your information. This is a processes and practices that work together to ensure integrity, authentication, confidentiality and availability of information. It is majorly defending against people who want to illegally access, either devices or information and data. It is protecting your information, data and devices from illegal access. It also encompasses recovering from failures of the system and illegal access from attacks by hackers. Cybersecurity has layers of protection from computers, programs, data and network. 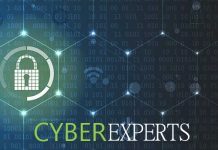 For cybersecurity to a success in an organization, there should be complementation between people, processes and technology involved to assist in defending any cyber-attack. You need to get to know everything about cybersecurity for you to be able to counter any threat that comes on your way. Knowledge about cybersecurity is needed for you to win this war. There will always be a cyber-attack even when strong controls are implemented, therefore because attackers are always looking for a weak places and links; it is possible to prevent these attacks by doing basic security precautions activities. Users of the system need to be trained on current cybersecurity precaution measures like use of strong passwords. In addition users should also be advised not to open any attachment that comes from unknown people and they should treat it as a spam. Backing up of data after a period of time is necessity. In a big organization there should be people tasked to brief the employees of trending risks, news about cybersecurity and also necessary controls to counter those current threats. Europe union’s General Data Protection Regulatory(GDPR) body is tasked to make sure that all organizations meet the privacy and security mandates that GDPR and all other bodies have set so that to counter cybercrimes. These bodies have lowered risk that Internet of things has exposed everyone to. They make sure that they have lowered risk of exposing organization and other institutions by coming up with rules and regulations that must be met to counter cybersecurity challenges. In case of any successful breach of cyber-attack, an organization should have a well-respected framework to assist and guide on how to go about it. It should be understandable on how to identify, detect and respond to attacks. It should also guide on how to protect systems and respond to any threat that comes. A great framework is able to guide on how to recover from successful attacks. 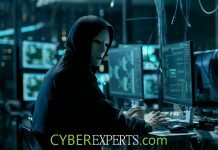 You organization will be more secured from cyber threats if you get a professional cyber security person who is well vast with his work. He will assist you in making your systems and devices are protected from challenges concerning cybersecurity. It gives you advantage over the others because, you will be well updated with any risks or concerns and necessary measures and control will be guided by a professional. I you may think it is not worth it, but it is worth everything you have, because, when a malware strikes, you may lose everything that you have. It may be costly, but you will get rip benefits at the end. You need to get security tools that will be able to detect and counter any cyber threat that may come from internet of things. 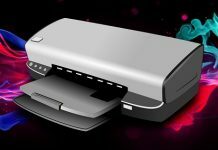 Protection should start from Endpoint devices like computer, printers, routers and many other devices. There are great antiviruses that shield computers from internet attacks. You also need to have firewalls, emails solutions, malware protection and practice DNS filtering. Oliviah Nelson is an avid cybersecurity author who dives deep into technical and engineering issues in the cyber world. 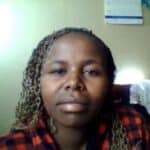 The author of books and articles about technology and security, Oliviah Nelson is a well respected authority. What is the best IT certification to have? 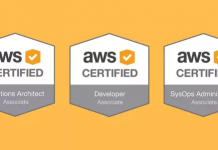 Get AWS Certified on the Cheap!